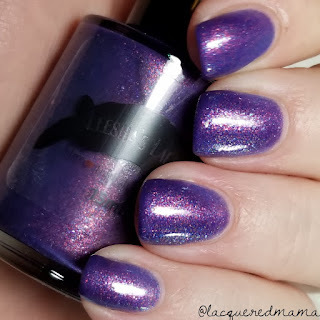 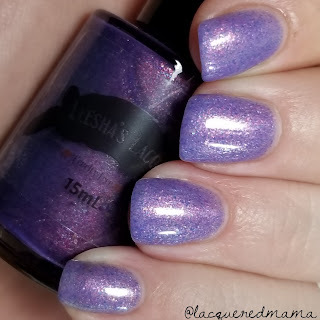 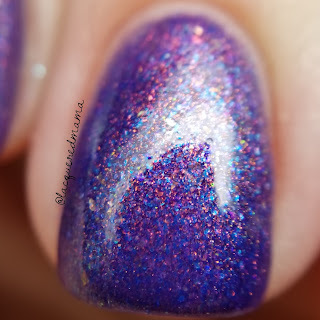 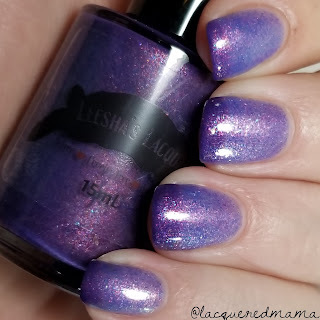 Gitche Gumee is a periwinkle to dark purple thermal with blue, purple and gold flakies, as well as a touch of aurora pigment. 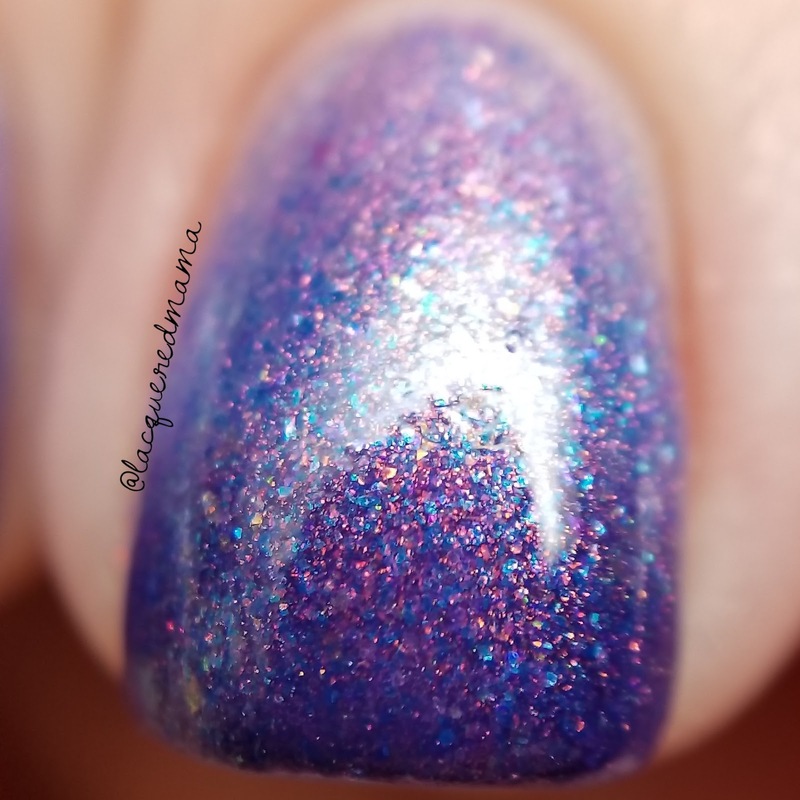 It's not being listed as such, but this has almost a tri-thermal look to it. 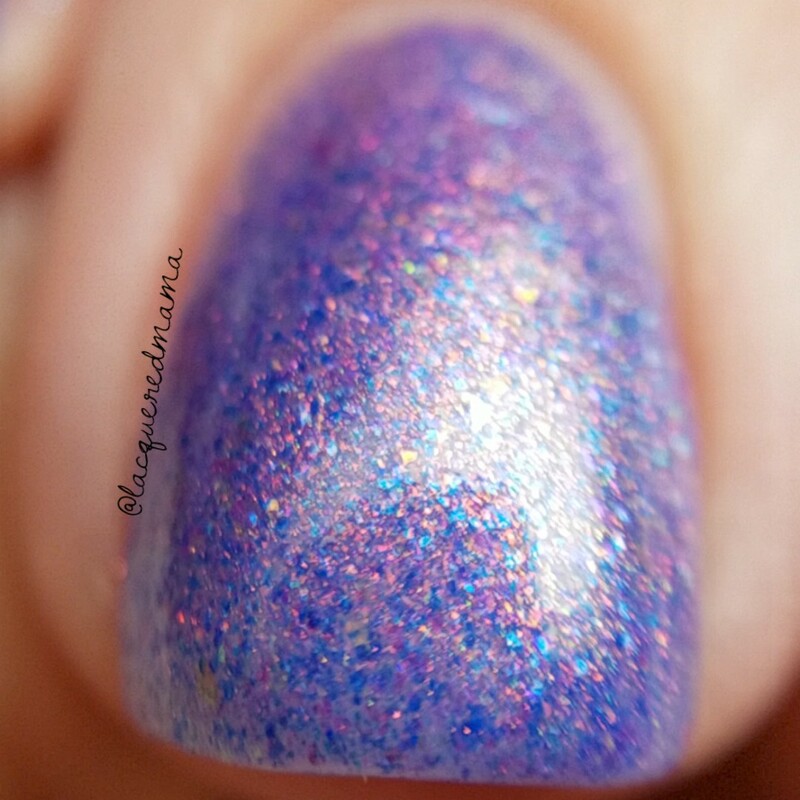 Here I did three thin coats plus topcoat, but depending on your application, you may only need two. This applied really smooth, dried shiny and was easy to remove. Gitche Gumee will be available in the Polish Pickup shop on April 5th at 11am CST through April 8th at 11:59pm CST.